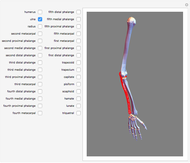 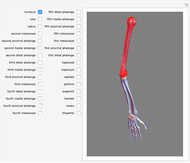 We provide a user interface in which the bones of the arm can be selected by name and highlighted in interactive 3D graphics. 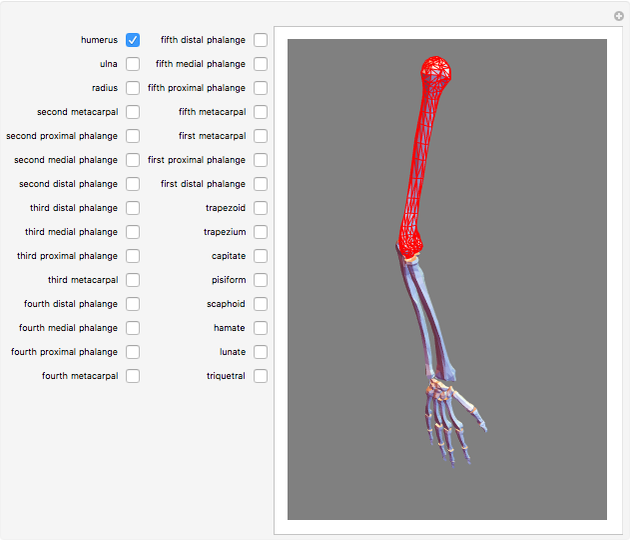 Use it as an aid in learning the names of the bones. See also the Foundational Model of Anatomy ontology at sig.biostr.washington.edu/projects/fm/AboutFM.html. Stewart Dickson "3D Skeletal Anatomy of the Arm"